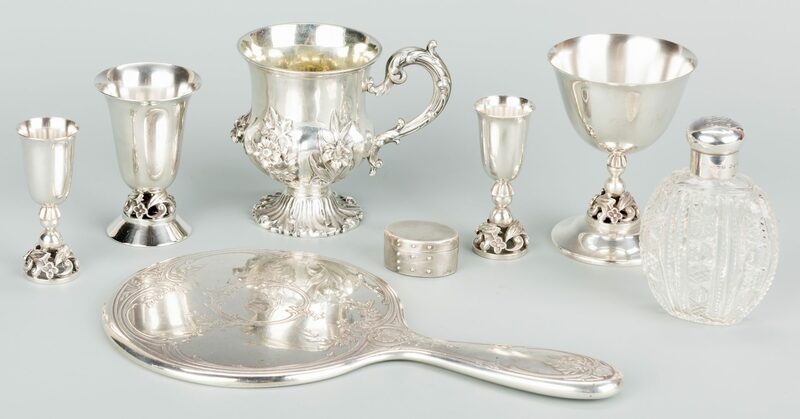 8 pieces sterling silver hollowware, circa 1850-1950. 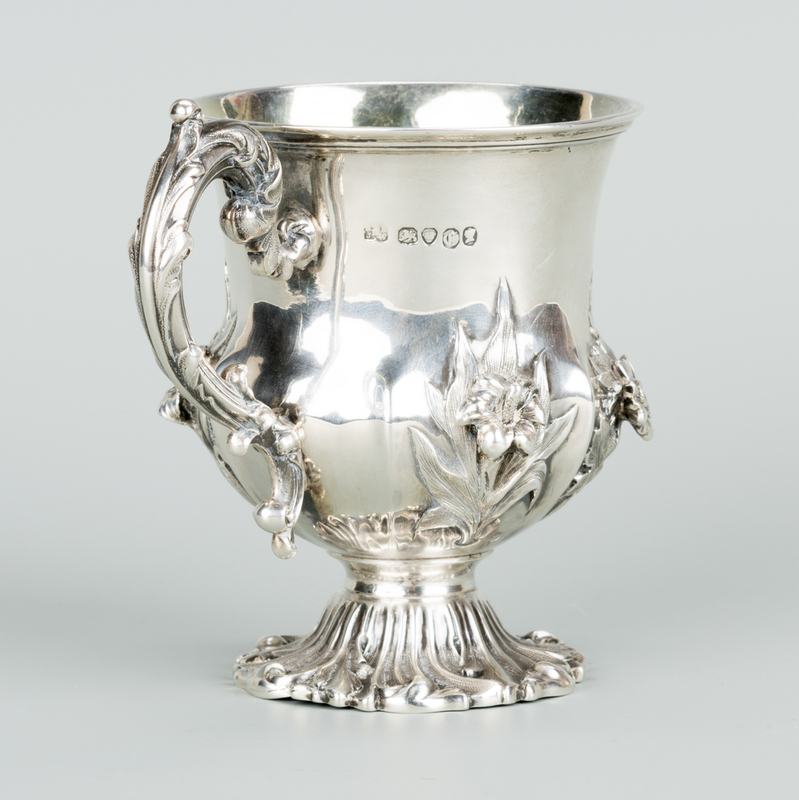 1st item: Victorian sterling silver pedestal cup or christening mug with repousse floral design, rendered in high relief, raised on a scrolled swirled footed base, with foliate handle and gilt washed interior. 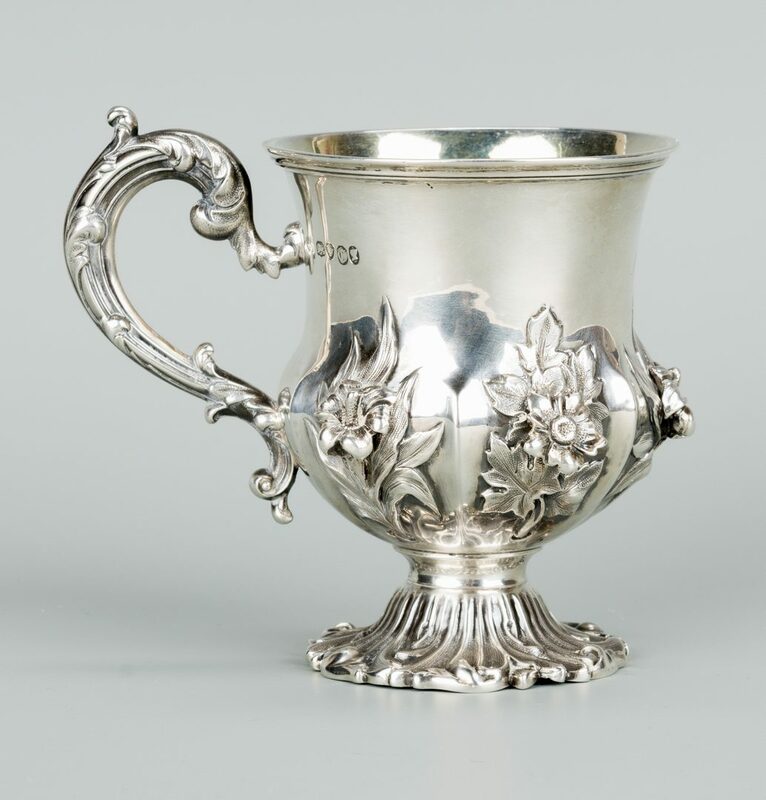 Hallmarked for London, 1842-1843, Edward, Edward Jr., and John and William Barnard. 3 3/4"H. 5.6 oz troy. 2nd item: Tiffany & Co. Sterling hand mirror with chased floral design and Art Nouveau monogram MRB. Marked Tiffany & Co. 18556LM KERS 2871 Sterling Silver 925 1000 M (circa 1907-1947). 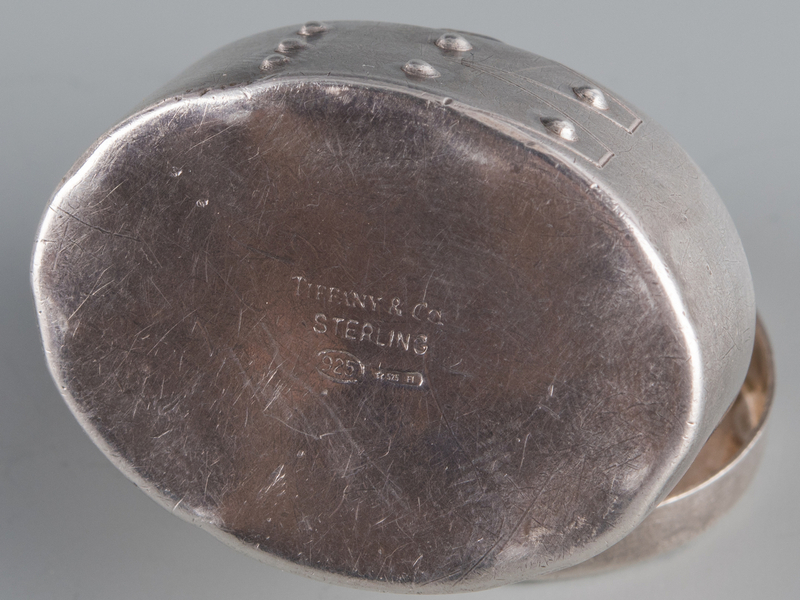 10" L. 3rd item: Tiffany & Co. Sterling silver pill box in the form of a Shaker band box. 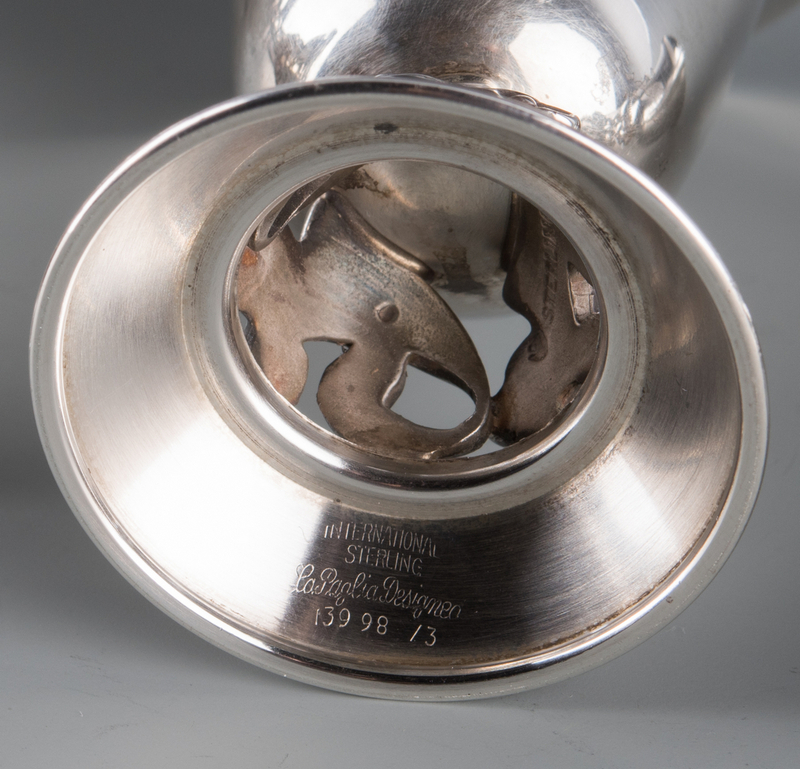 Marked Tiffany & Co. Sterling 925 with additional star mark and 525 F1. Pillbox measures 1 1/2" W x 3/4" H, .63 oz troy. 4th item: Cut glass perfume flask with sterling silver top, marked for Exeter, 1853-54, H & T maker's mark. 4" H. 5th-8th items: Four Alphonse LaPaglia (1907-1953) designed Sterling Silver cups, including a wine goblet, two cordials, and a 3 1/4" liqueur. Combined weight 8.345 oz troy. 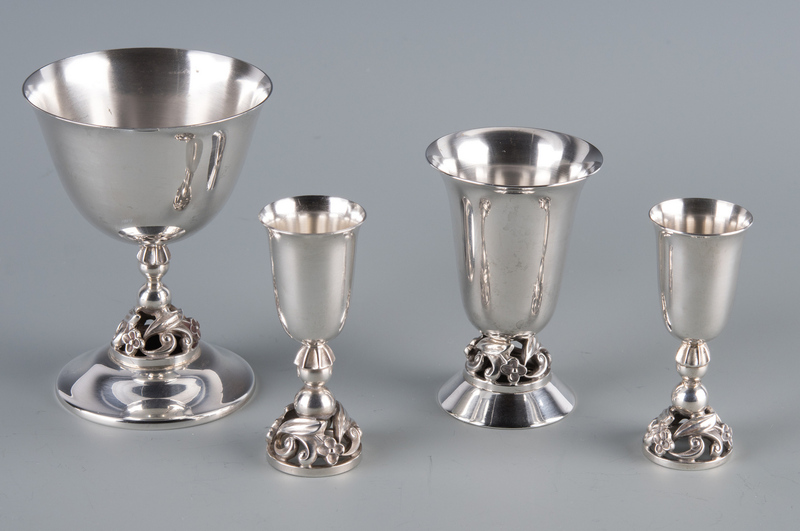 One cordial marked "International Sterling LaPaglia Designed," the others of identical design with only marks for International and "Sterling." 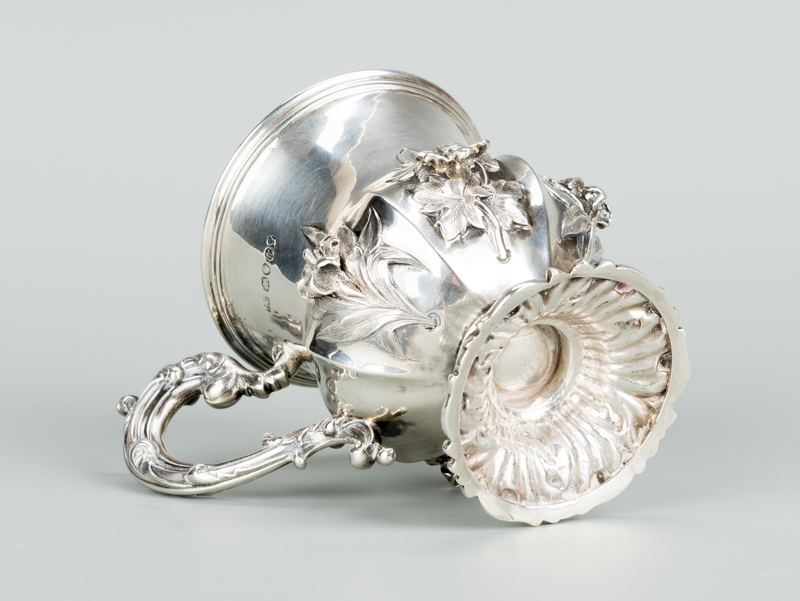 Historical note (via 925-1000.com): Alphonse LaPaglia was born in Sicily and studied silversmithing with Georg Jensen. 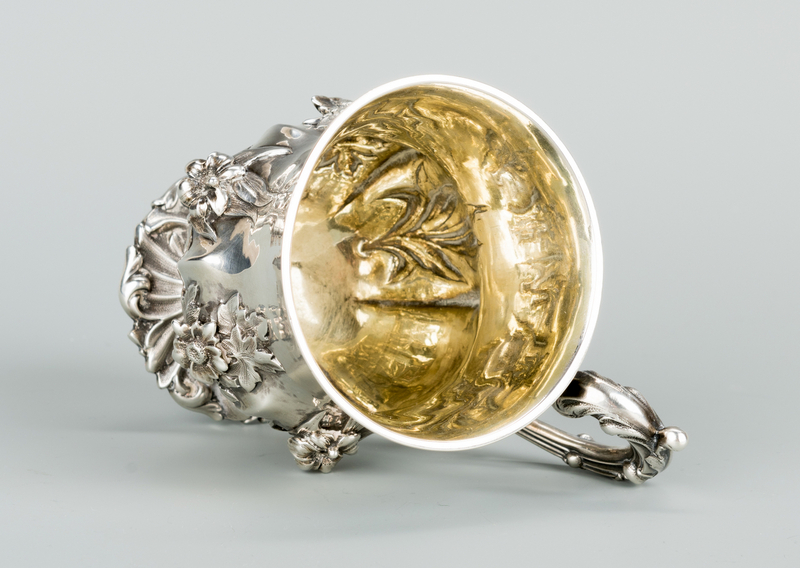 In 1952, he began a collaboration with International Silver Co. to create Danish inspired Mid-Century Modernist silver, and moved his workshop to Meriden, CT. 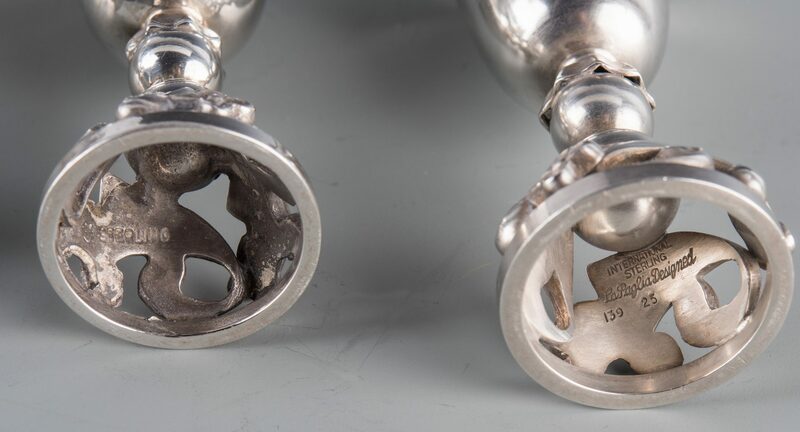 Following La Paglia's unexpected death of a heart attack at the age of 46, the rights to his designs became the property of International and were continued into production. 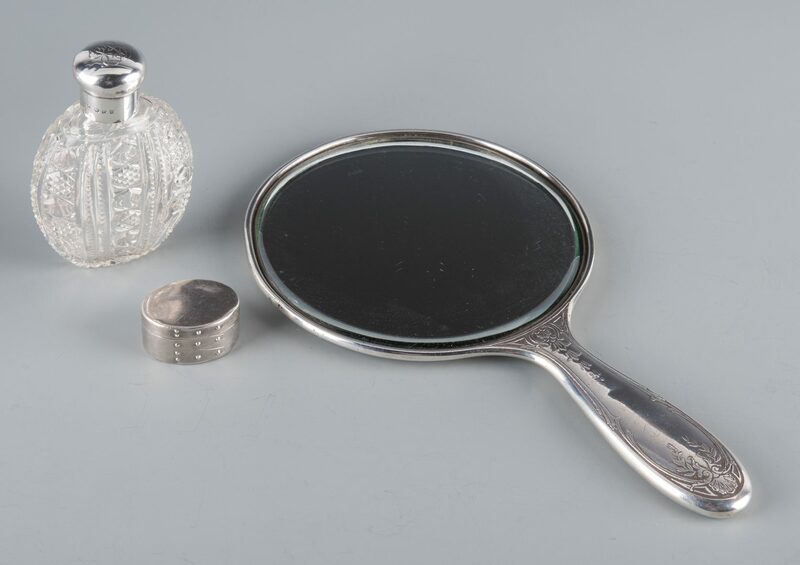 CONDITION: Mirror and top to perfume bottle have a few small, minor dents. Otherwise, all items in very good condition.